Following Gov. Eric Greitens’ request for a restraining order against fellow Republican and Missouri Attorney General Josh Hawley, some Missouri legislators are choosing sides. Court filings show that the embattled governor issued the request on Monday, a day before Hawley stole the headlines with his press conference announcing that his office possessed evidence of “criminal wrongdoing” by Greitens regarding the charity he started, The Mission Continues. Greitens is requesting a temporary restraining order to block Hawley’s “investigation into Governor Eric Greitens, the governor’s office, or any entities with which Greitens is or has been associated,” according to court documents. 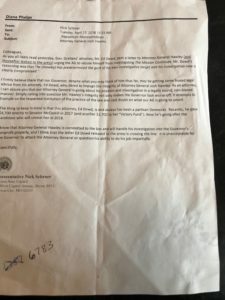 In a letter sent to fellow Republican representatives dated Tuesday, Rep. Nick Schroer, R-O’Fallon, urged those in Jefferson City to support Hawley in his investigation and heavily criticized some of Dowd’s comments. Schroer went on to criticize Dowd for being “a partisan Democrat”. In the letter, Schroer said Dowd gave $4,700 directly to U.S. Senator Claire McCaskill in 2017 and another $2,700 to her “Victory Fund”. “Now he’s going after the candidate who will unseat her in 2018,” Schroer said of Dowd. 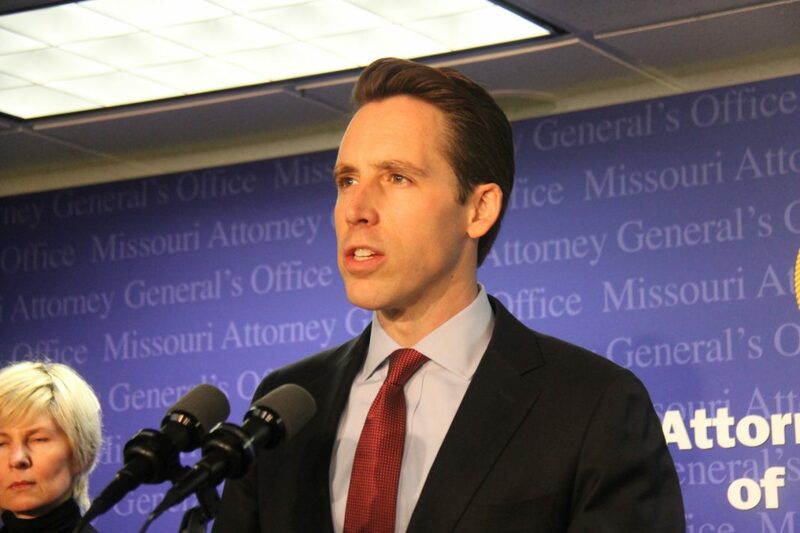 During his press conference Tuesday, Hawley said his office turned over the evidence of Greitens’ potential felony violation in regards to the Mission Continues to St. Louis Circuit Attorney Kim Gardner since the alleged crime occurred in the city of St. Louis. Ultimately, the decision to charge Greitens with another crime would fall in the hands of Gardner, who is also prosecuting the Republican governor in the felony invasion of privacy case.